CHEYENNE - The Wyoming Department of Education (WDE) today announced the state’s results on the 2015 National Assessment of Educational Progress, known as the Nation’s Report Card or NAEP. 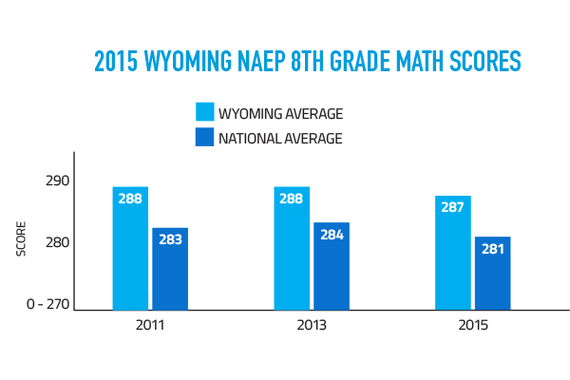 Overall, Wyoming’s fourth and eighth grade students in 2015 continue to outperform national average test scores in reading and mathematics. “Although overall results are favorable, it is important to recognize that Wyoming experiences gaps in achievement that are similar to gaps recognized in the national results. We need to look at all levels of these results and respond in ways that increase the academic performance of all Wyoming students,” said State Superintendent of Public Instruction Jillian Balow. Since 2013, Wyoming’s average reading scores increased in fourth grade, but decreased in eighth grade. According to NAEP, each reading score from 2015 represents a statistically significant change from the 2013 assessment results. Wyoming’s average scores in mathematics stayed the same in fourth grade, and was statistically unchanged in eighth grade. Comparing Wyoming with all states, three states performed higher in fourth grade reading, thirty-six performed lower; twelve were not reliably different. In eighth grade reading, five states performed higher, twenty three performed lower, and twenty three were not reliably different from Wyoming. In fourth grade mathematics, two states performed higher, forty two performed lower, and seven were not significantly different. In eighth grade mathematics, six states performed higher, twenty eight performed lower and seventeen were not significantly different. Between 2013 and 2015, national NAEP results either sank or remained flat. 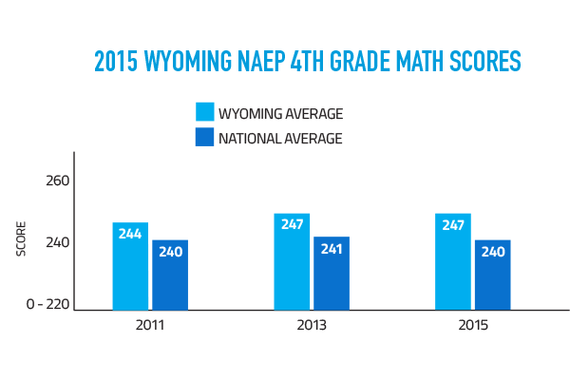 Wyoming met or exceeded national NAEP results in all areas. “Along with the previously released results for Wyoming's accountability model, we now have multiple data points to gauge the performance of Wyoming students. Wyoming will continue to look at results from multiple sources and use them to guide educational decisions made at the state level,” added Brent Young, WDE’s Chief Policy Officer. 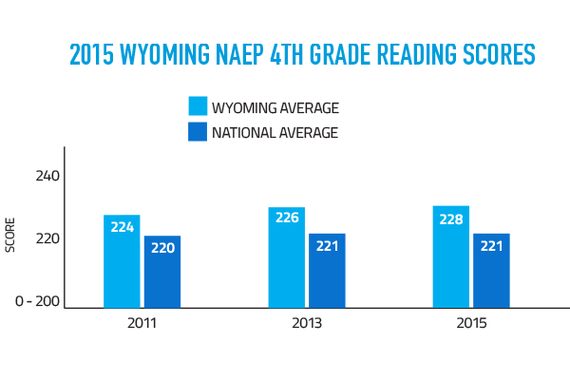 NAEP testing is administered every two years in reading and mathematics to Wyoming’s fourth and eighth grade students. All fifty states plus the District of Columbia and Department of Defense (DoD) schools participate in the assessment. NAEP provides an external reference or point-of-comparison to audit, review, and compare each state’s educational program. Additionally, NAEP provides a stable trend line for tracking achievement during the current flux nationally in state testing programs. NAEP is administered to a statistical sampling of Wyoming students and does not render test results for individual students or their schools. NAEP data therefore represents a sampling of Wyoming students and their responses. Please note that results for NAEP science in grades four and eight, also assessed in Wyoming during 2015, are scheduled to be released next spring 2016.